Gifts for Kayakers: The Top 7 Gifts They'll Love! Home Kayaks Gifts for Kayakers: The Top 7 Gifts They’ll Love! If you’re in a relationship with a man whose biggest hobby is to go kayaking, then you might want to familiarize with some gifts that would certainly put a smile on his face. We will provide some unique suggestions in the remainder of this article. Where Should I Look for Gifts for Kayakers? For starters, you should search in stores that commercialize kayaking equipment. If there’s none in your area, you should look on Amazon. You can’t go wrong with that. Amazon is virtually endless, so there are thousands upon thousands of products to choose from. YouTube can also be a good source of inspiration should anything else fail miserably. If you take a look at the following video, you’ll get a few helpful ideas for some affordable gifts for your partner. The guide is pretty thorough, so you’ll definitely get some much-needed inspiration from it. It depends, of course, on what exactly you’re willing to buy. A new kayak, for instance, is among the greatest gifts for kayakers, but you’ve got to have a large budget to buy that. If you’re shopping with limited funds, there are many other items worth considering. It all boils down to how much you can spend. As you’ll see shortly, you’ve got plenty of options for cheaper gifts. 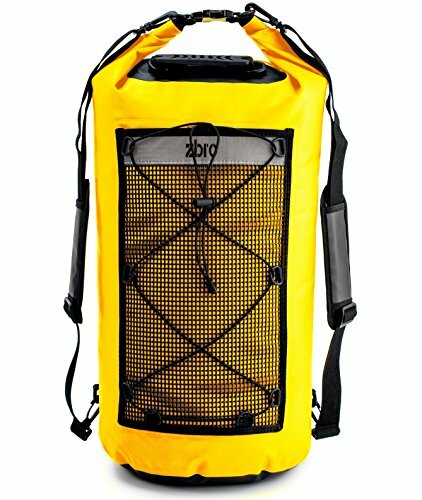 Bags, vests, and items of the sort, among others, are ideal for any kayaker, whether they’re professionals or not. As long as they have an actual use, the price of the gifts doesn’t even matter that much. What Should I Look Out for When Buying Such Products? To begin with, you should see if they are impermeable or not. You should also keep an eye on the quality and the rapport between quality and price. Many of them can be subpar, even if the price is quite high. The most crucial requirement, however, is for these gifts for kayakers to be waterproof. If they’re not, their use while kayaking will be very limited. Therefore, the gift will be, unfortunately, not as awesome as you’d have hoped initially and the receiver won’t be able to use it. Another thing you should consider in your endeavor is the practicality of the item. If it has no actual use and it’s an ornamental product or something along these lines, it will be fairly useless. You’ll be hitting two birds with one stone but in the negative sense this time: you’ll be a few dollars short, and your partner/friend will be quite disappointed. As difficult as it may seem to come up with unique gifts for your kayaking friend, half an hour of research is usually all that it takes. Luckily, we’ve done the research for you so that you can consider these seven items. They are relatively general, so they will undoubtedly appeal to more than 90% of kayakers. Their greatest advantage is that they are cheap but far from being of low quality. We all aim for that when shopping. 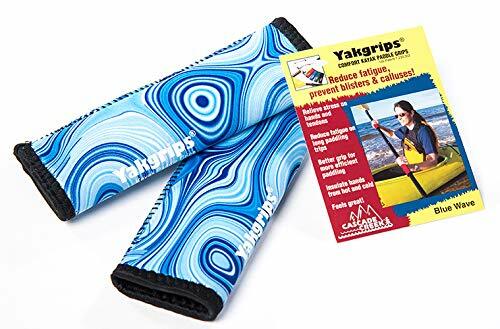 It is equipped with a reflective stripe - that will come in handy when kayaking during the night - 2 fairly large pockets (one on the outside and one on the inside) and padded straps. These will ensure a high degree of comfort. All these features make it one of the best gifts for kayakers that can be bought for a good price. It’s a paradox that you get so thirsty when surrounded by a large volume of water, but it’s nonetheless true. This relatively cheap stainless steel bottle is a good addition to a kayaker’s equipment. Due to its material, it can last forever. It can be purchased in two colors, and it can accommodate 20oz of liquid. It’s more than enough for a quick kayaking trip down the river. 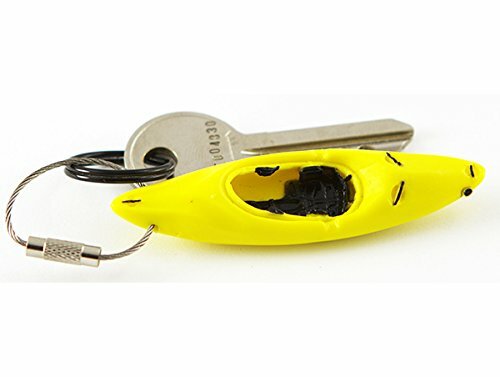 This is a small and practical gift for every kayaking aficionado. It is made with stainless steel and PVC plastic, which is amazing considering that it has such a low price. You can purchase it in 5 colors, and its design is quite impressive, as the miniature kayak was made in careful detail to resemble a genuine one. It will be a kayak-ception! The last thing a kayaker wants is to lose his paddle in the water. This gift can easily prevent that from happening. It’s Velcro and stainless steel making it durable enough. The product is 36” long. The leash itself, i.e., the cord, is stainless steel wire. It wouldn’t break if you wanted to. With this gift, the paddles won’t ever risk falling into the water. This tiny trolley can sustain up to 150 pounds. 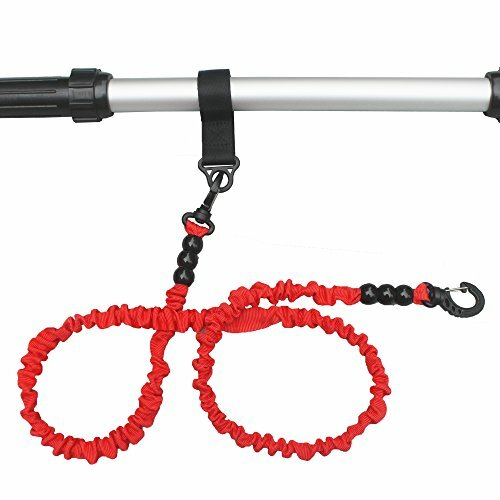 With this, your friend will be able to carry his/her kayak with the utmost of ease. The carrier has a metal frame, aluminum pipes, and pneumatic tires, so it’s quite sturdy. We would say that it is worth every dime because it is made with durable materials. As we mentioned, the gifts for kayakers have to be practical, and this one definitely fulfills that criterion. Paddling and coordinating a kayak, especially in fast cataracts, can do a number on a kayaker’s hands. These grips come – pun intended: handy. The person receiving them will say goodbye to those excruciatingly painful blisters. This is one of the nicest gifts for kayakers you can get. It will keep their phone safe no matter where they are kayaking. Even if it so happens that they lose control and take an unpredicted bath, their phone will be safe and sound. 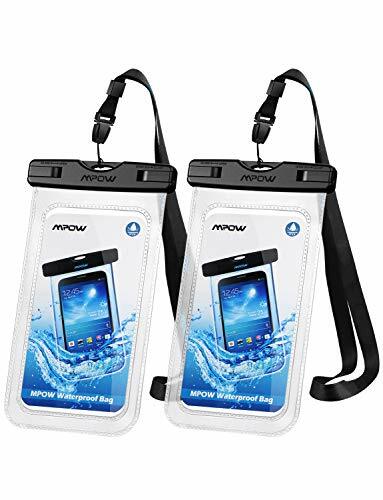 The phone pouch even has a transparent cover, so they will be able to see whether or not they have any notifications or missed calls. One thing to keep in mind though is that they won’t be able to actually use their phone in this pouch if it’s a touch. When it comes to getting the best gift for kayakers you need to know what they already have and what they might need. Or you can always go with a kayak themed shirt. But we can always use new water-proof gear too! What did you end up getting for your kayaker? Let us know in the comments! Want up to date kayaking tips, tricks and reviews?